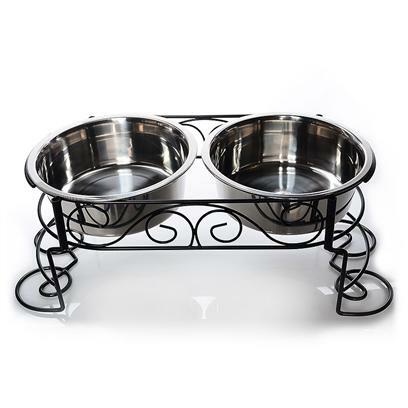 Ethical Pet Stainless Steel Double Diner has a hand crafted scroll work design. Raised elevation allows pets to eat at a proper height for better digestion. Would have liked it larger in size! Owner of Holly - german shepherd and Coal, rotweiler-lab!